Rafael Skeete often swung late and sent foul balls speeding off to the third base stands, The El Paso Times wrote years later. One of those balls happened to find El Paso's then mayor - and skim off her head, The Times wrote. "She had a good sense of humor about it," Skeete said at the time, The Times wrote. 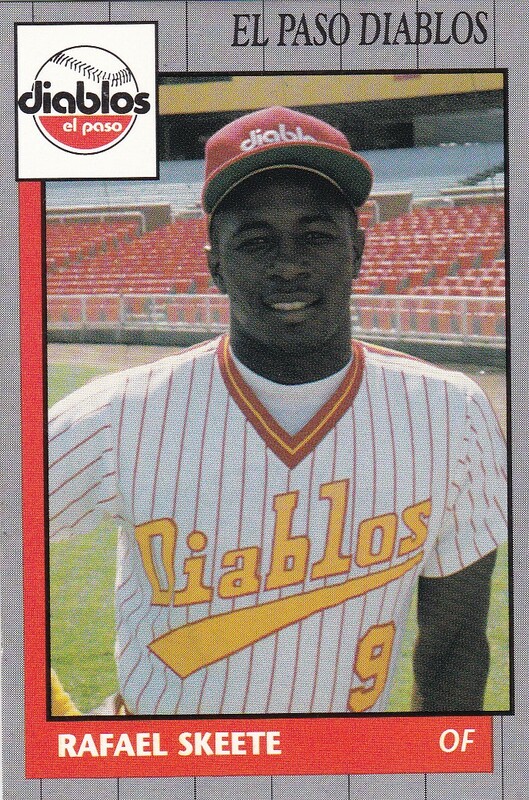 Skeete played at AA El Paso in 1989 and 1990, his fifth and sixth seasons as a pro. Though he got to play with major leaguers briefly in spring training, he never made the majors during the season. Skeete's career began in 1985, signed by the Orioles as a free agent out of his native Sint Maarten in the Caribbean. Skeete started with the Orioles at rookie Bluefield. He got into five games and went 1 for 8. He also had a brief 1986, playing 16 games at short-season Newark. He played 1987 largely at single-A Hagerstown. He also saw 11 games at AA Charlotte. He hit .278 on the year and stole 41 bases. Skeete returned for spring training 1988 and got to play with the major leaguers. He dressed with the big league team for two days. He played that year back at Charlotte. He hit .237, but stole 54 bases. In spring 1989, he appeared in a game and helped tie the contest. He played the first half of the year at AA Hagerstown. The Brewers then purchased his contract in June and he arrived at El Paso. 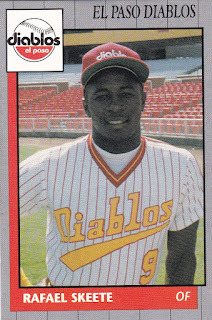 He saw 49 games at El Paso in 1989 and hit .251. He returned there for all of 1990. He hit a double that tied a May game late. Overall, he hit .278 over 109 games to end his career. In 2014, he spoke with Caribbean Radio Show. In February 2016, Skeete was back in Sint Maarten, coaching at a youth clinic.